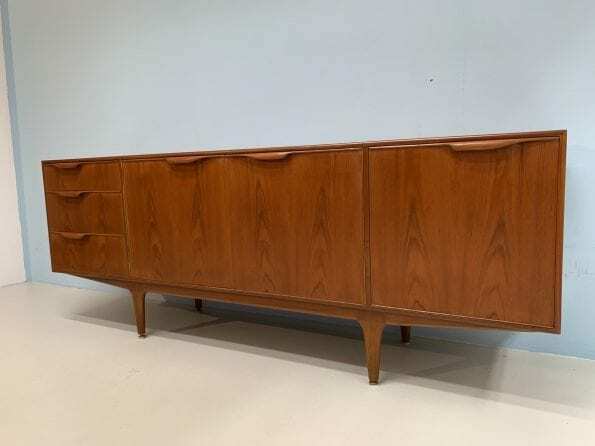 Prachtig teakhouten dressoir uit de jaren 60 van Mcintosh Schotland. 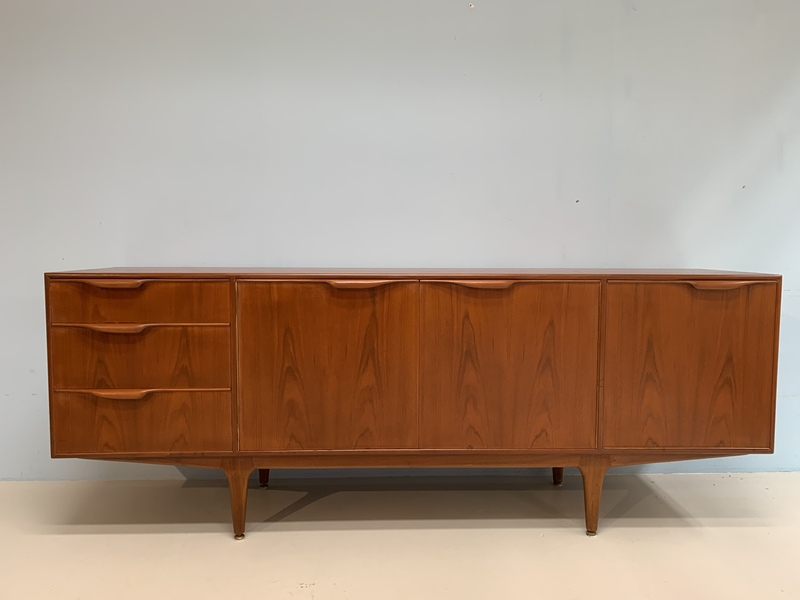 201 cm breed/ 45 cm diep/76 cm hoog. 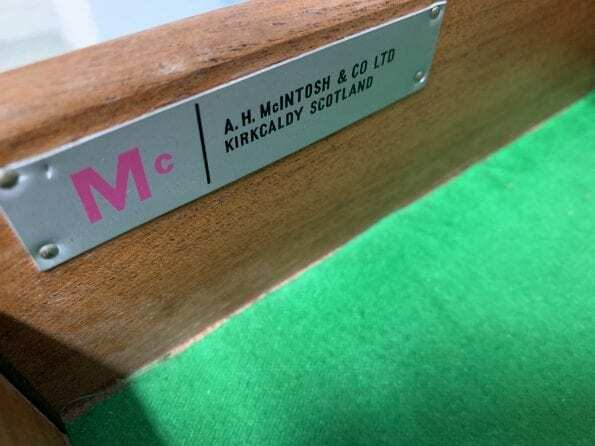 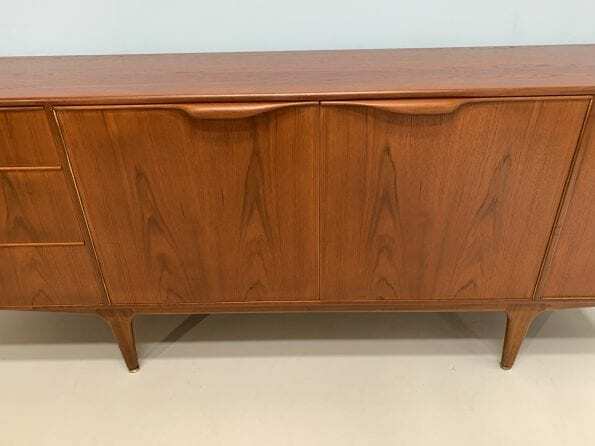 Stunning teak sideboard from the sixties produced by A.H. McIntosh LTD. Schotland. 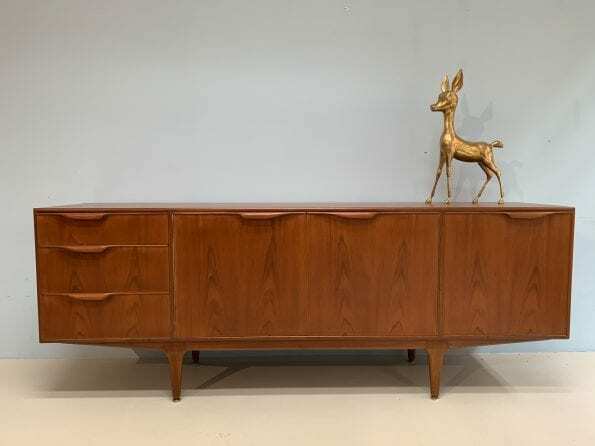 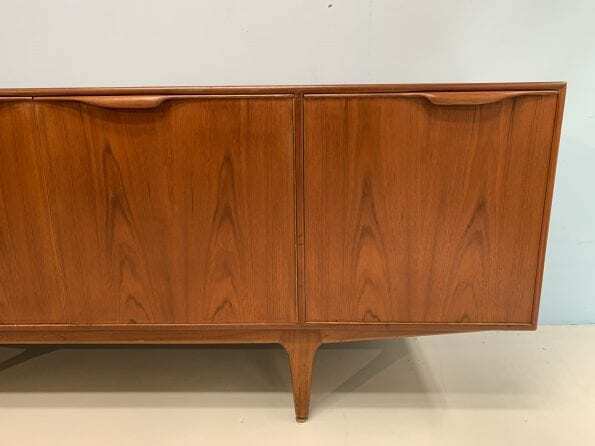 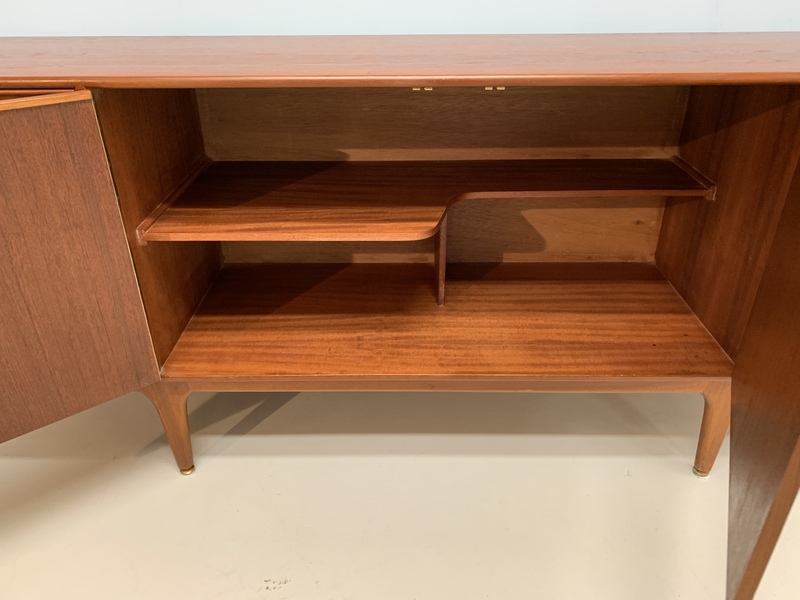 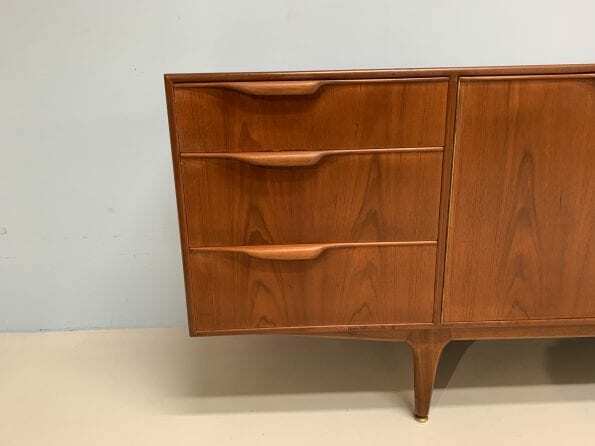 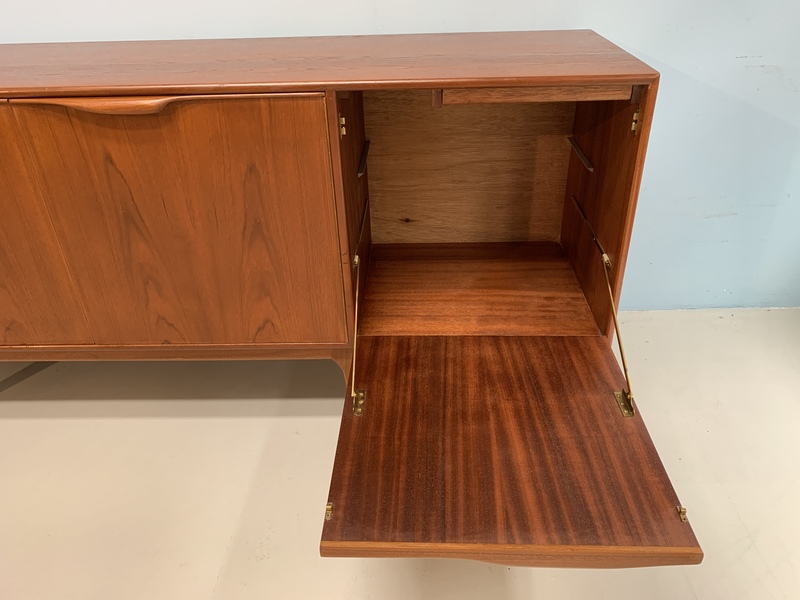 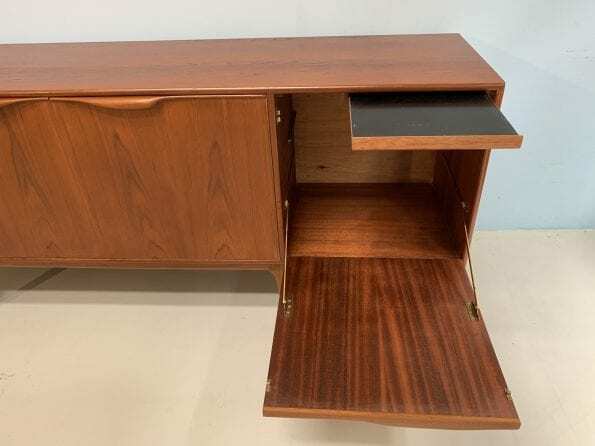 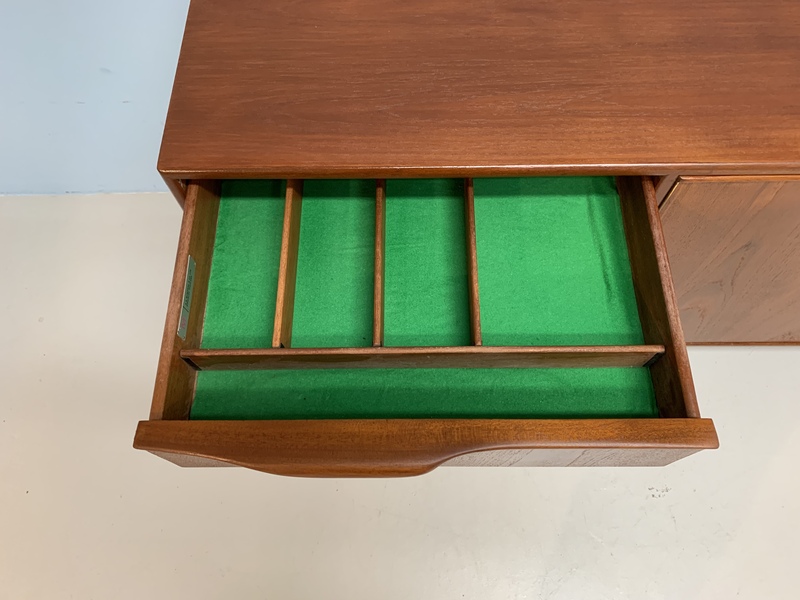 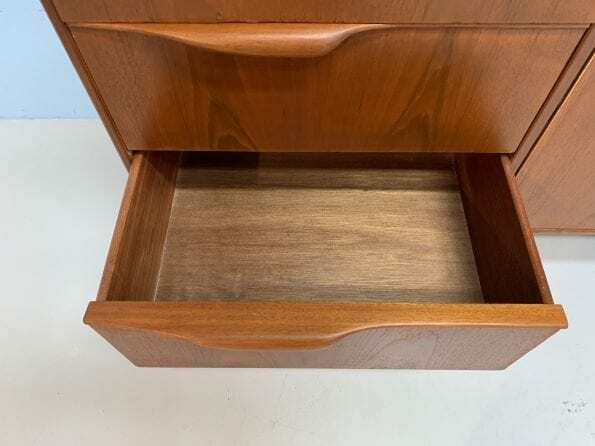 Tom Robertson worked as head designer for the firm; creating his most notable design, the teak Dunvegan sideboard (1960s) known for its sculpted handles. 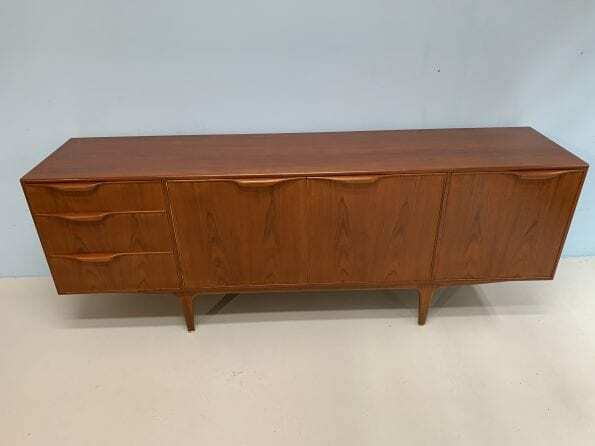 201 cm W/ 45 cm D/76 H.